Universal Orlando Resort is making this year’s Halloween Horror Nights the most intense ever with the addition of a 10th haunted house to the event. It is the first time in the event’s 28-year history that 10 haunted houses will be featured – giving your clients more scares than ever before. Details about the 10th haunted house will be revealed soon. 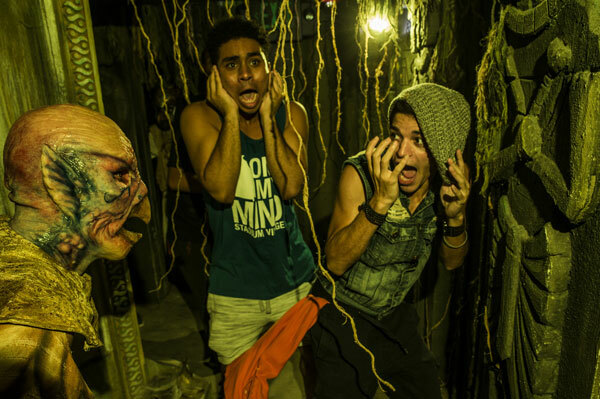 For 34 select nights from Sept. 14 to Nov. 3, horrors of the ’80s will invade this year’s Halloween Horror Nights. Cinematic greats, slasher films, cult classics and original nightmares inspired by the past will come to life as guests face 10 disturbingly real haunted houses based on the most terrifying names in pop culture – including Netflix’s sci-fi thriller “Stranger Things” and Legendary Pictures’ Halloween classic “Trick ‘r Treat” – and five sinister scare zones. Vacation packages are on sale now. The Halloween Horror Nights Hotel & Ticket Package starts from US$215 per adult, per night and includes four-night hotel accommodations, Park-to-Park daytime admission to all three theme parks throughout the stay, admission to Halloween Horror Nights and more.